While the Quanjian Group scandal has sparked a storm in China's healthcare product industry over the past two weeks, it has also dealt a heavy blow to Tianjin Quanjian Football Club, which is owned by none other than the healthcare product empire. The latest update on China’s National Enterprise Credit Information Publicity System indicates that the club was renamed Tianjin Tianhai Football Club on January 8 and is, according to The Beijing News, temporarily in the charge of Tianjin Football Association. Despite that, the future of the club is uncertain. It faces three choices: being temporarily mandated to another owner, being sold or being dismissed. The club has until January 12 to make a final decision, according to South China Morning Post. In order for the club to get a license to continue playing in China's Super League, they have to be managed by a Tianjin-based sponsor. With time running short, finding a new sponsor is unlikely and the prospect of Tianjin FA investing as much money as Quanjian did seems bleak. That has led many to speculate that the club's stars, like Brazilian striker Alexandre Pato, may leave the club to reunite with AC Milan, as Tianjin will no longer be able to afford to pay his salaries. Rumors of Pato leaving the club had already been rife, but these new developments in the Quanjian Group scandal seem to add fuel to that particular fire. Tianjin has also reportedly found themselves in troubled waters financially, as SCMP also points out that the players have not been paid their salaries recently. All of this came just one day after local police announced on January 7 that they had detained 18 people connected with Quanjian Group. Shu Yuhui, chairman of the board at the healthcare empire, is among the people who have been taken into custody. “Rumors that Shu had fled to Southeast Asia can now be put to rest, but what’s more important is that the Quanjian case has finally entered the judicial procedure,” wrote China’s Politics and Law Committee on their official WeChat account on January 8. The account also said that Quanjian “is not the first to commit such crimes, nor will it be the last.” This comes as Tianjin’s three-month citywide crackdown on illegal healthcare companies has yielded some initial results. According to Xinhua, as of January 9, the law enforcement personnel in Tianjin have filed cases against 92 out of a total of 107 healthcare companies and/or organizations for false advertising and/or organizing pyramid schemes. Two cases have been reported to police, while 14 companies have been shut down, 35 companies have been ordered to close for reorganization, while 286,310 items have been seized. 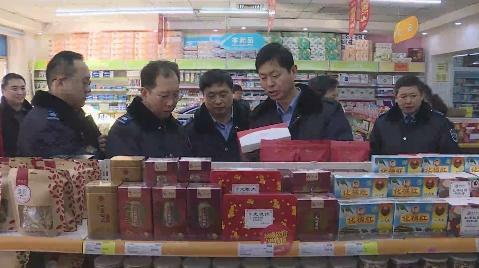 On January 8, the State Administration for Market Regulation also launched a ‘100-day campaign’ to further crack down on market disorder in the industry. The crackdown will be jointly conducted by multiple government branches, including the Ministry of Public Security, the National Health Commission, the Ministry of Commerce, amongst others. Guangzhou star point guard Kyle Fogg had a Lebron-esque night. The latest outbreak of the disease was reported at a farm in Ninghe District. From stunning stage performances to finger-licking buffets, there's a lot going on in Tianjin this month. China is preparing to launch new individual income tax (IIT) laws, which will go into effect at the beginning of 2019.